The best of both worlds. All photos by Rob Corso. 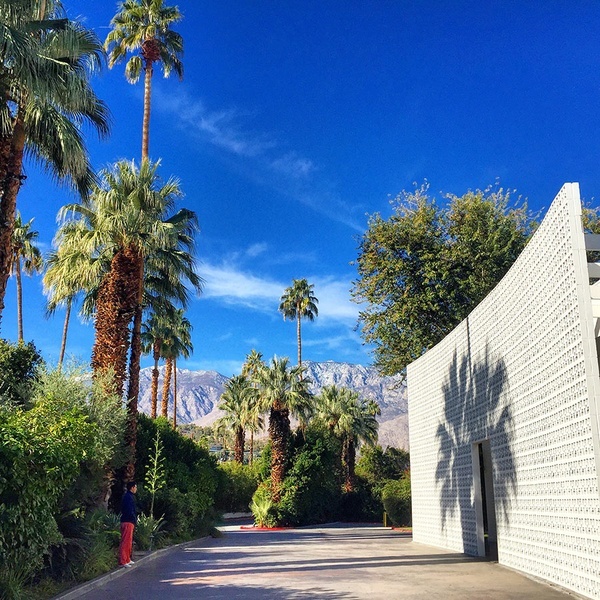 Palm Springs is to Los Angeles what The Hamptons are to New York City — a short and sweet getaway where monied locals go to relax and party. But with JetBlue now offering direct flights from JFK, the retro retreat will be seeing its share of East Coasters, like Fathom's Rob Corso, who spent a few days in the desert oasis. 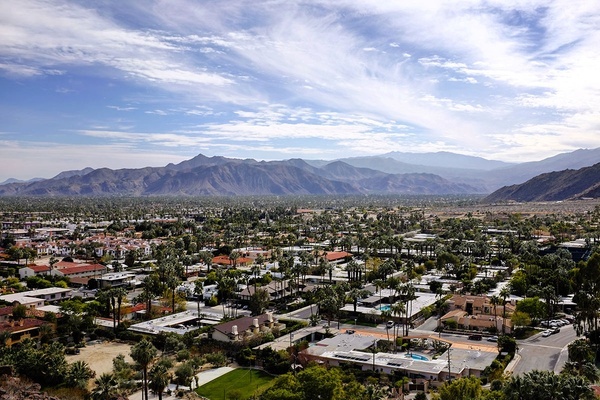 PALM SPRINGS, California – This was my first trip to Palm Springs, and before leaving I was told that it's like the "gay ninetis: Either you're gay or you're in your 90s." And while the city deserves its hedonistic reputation as a party mecca, it has much to offer anyone looking for adventure and culture between rounds of golf and cocktails by the pool. 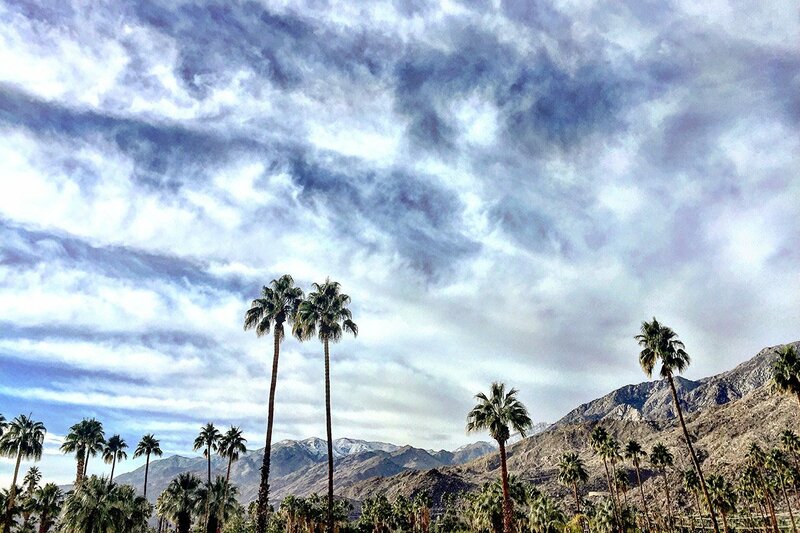 Palm Springs is beautiful — a palm tree desert that sits in a bowl flanked by snow-capped mountains. It gets less than four inches of rain per year and the sun is always shining. Midcentury modern architecture is another big part of its charm, and the city does its best to highlight and preserve it. Over the last few of years, events like Coachella and the International Film Festival have attracted hordes of young people. And with them, hip new hotels, restaurants, and bars. The city is laid-back and fun, the perfect setting for partying. And partying they do. The view of Palm Springs from the top of Chico Canyon. Palm Springs is one of the only places in the world where you can go from arid desert to snow-covered alpine forest in less than fifteen minutes. 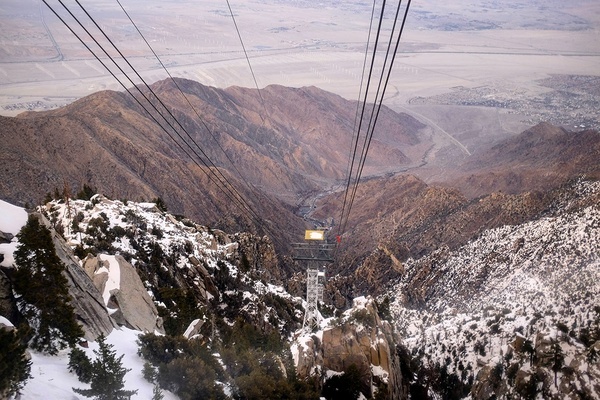 The Palm Springs Aerial Tramway climbs 9,000 feet into Chino Canyon. The views are stunning any time of year, but in winter they are really special. When boarding the tram, you're in the hot desert. At the top, you're treated to snow-covered forest for hiking, sledding, and snowball fighting. You can't get far in Palm Springs without hearing the phrase "midcentury modern," for good reason. The city is renowned for architectural design. 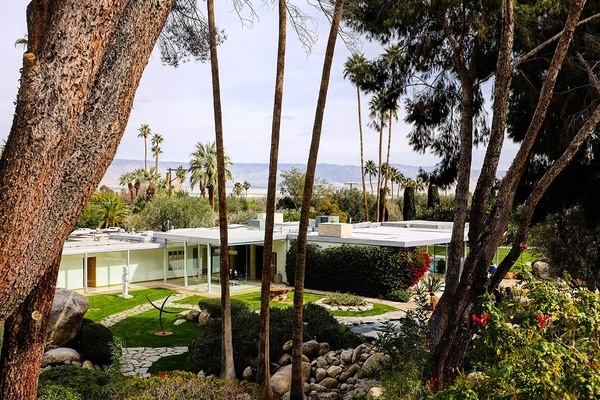 The Modern Tour is a great way to see prized examples like Frederick Loewe Estate and Fray House while glimpsing the vacation homes of Bob Hope, Frank Sinatra, Elvis, and more. 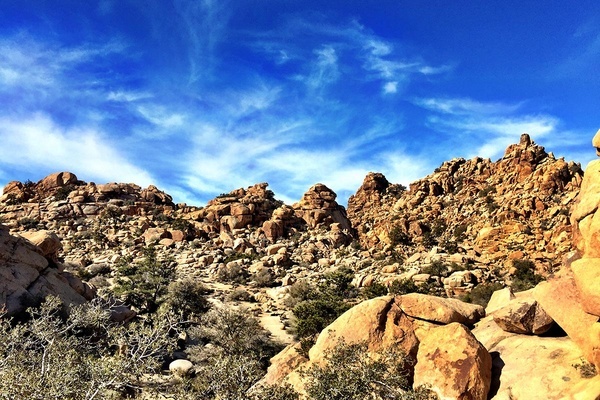 No trip to Palm Springs is complete without spending time in Joshua Tree National Park. It's one of the most magical places I've ever been, and it's no surprise that so many people head there to expand their consciousness. Consider renting a car and spending at least one night camping on site: You'll want to be there for sunrise and sunset. Bring a camera and friends and prepare to hike and climb. If camping isn't your thing, an afternoon tour with Desert Adventures will take you to all the hot spots. Refurbishing old motels and turning them into hip, upscale properties is a trend in Palm Springs. The owners are careful to maintain the integrity and charm of the structures, but the interiors are treated with modern touches. One of the more popular spots, Ace Hotel and Swim Club, used to be a Howard Johnsons. The Saguaro, the most colorful hotel in the desert, used to be a Holiday Inn. And the new V Palm Springs uses the framework of a deserted Travelodge. Each hotel has a pool that serves as the de facto happy hour spot, no matter the time. The most coveted hotel is The Parker Palm Springs, a hotel for people who like hotels. The property is immaculate and covered with lush manicured gardens. The rooms are comfortable and tasteful. If you can afford to stay in one of the suites, you won't be disappointed. Brunch at Norma's in The Parker Palm Springs is an absolute must, even if you're not staying at the hotel. It isn't cheap, but on vacation you should splurge on breakfast. Sit outside and order as many dishes as you can afford. They're all great. King's Highway, attached to the Ace and formerly a Denny's, is a home run. Breakfast, lunch, and dinner are delicious. For breakfast, good choices are the Moroccan scramble and the ricotta pancakes. And the burger is a 10. The local buzz is that the Mexican food at El Jefe in The Saguaro is the best in the desert. Palm Springs is a two-hour drive from Los Angeles. For East Coasters, JetBlue just announced cheap direct flights from New York's JFK to Palm Springs International Airport (PSP). The airport is practically in the middle of town, less than ten minutes from downtown hotels. You can get to check-in on a bus called the Buzz, but renting a car is a good idea if you want to get out of town. It is California, after all. There is never a bad time to go to Palm Springs, but it can get hot in the summer. (Everyone will tell you that it's "dry heat" and "not too bad.") Winter is when you can swim and have snowball fights and swim again all within an hour.